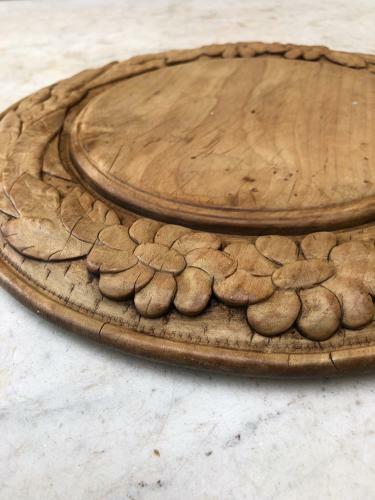 Late Victorian Deeply Carved Bread Board...Flowers and Wheat. Lovely detail. Good size being just over 12" across. These boards are becoming so hard to find.